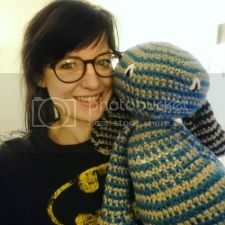 the geeky knitter: have you heard of KNITCRATE? have you heard of KNITCRATE? Not too long ago, I was approached by the lovely team at KNITCRATE who asked if I would be interested in working with them to review their monthly subscription box and to offer my reader's a special discount if they were to sign up for the box. My response? Oh, yes yes please! 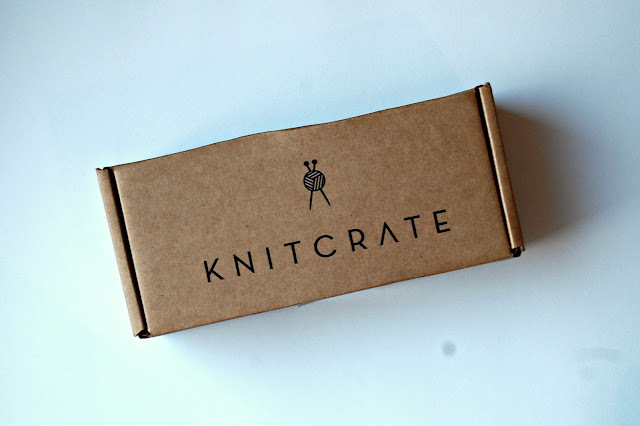 I am a huge fan of subscription boxes, and I used to be a subscriber to Lootcrate (one for nerds, very good, highly recommended) and for a long time I've wanted to treat myself to another subscription, in particular to knitting if I could manage it. 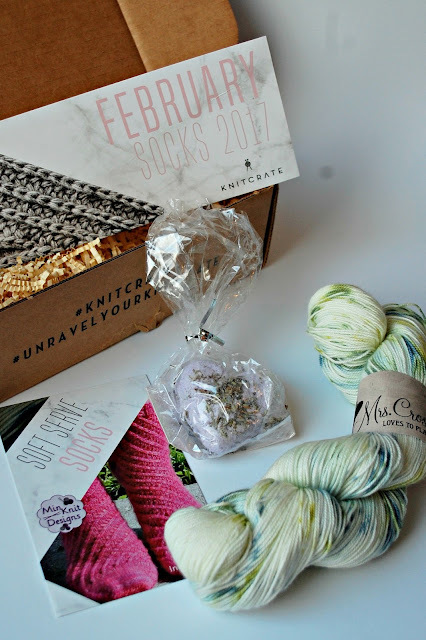 So it was with utter joy that I accepted a subscription to KNITCRATE, and my first box arrived and ... well, just journey with me on the unveiling of the February box. I couldn't quite believe the quality of the contents of the main box - or Knitcrate - which came in a fabulously bright red parcel (I would have taken a picture, but I was just too darn excited!). Inside were 3 delicious skeins of Mrs. Crosby Loves to Play yarn - Steamer Trunk is 100% superwash Merino wool, and I have THREE skeins of the stuff! It's soft, soft, and did I mention, so so soft? The colours are deep, bold, and the green (named Garden House) is subtly toned throughout as well, so I can't wait to see what it looks like knitted up. It's a worsted/aran weight yarn so it should knit up nice and quick as well - bonus! And that's not all; a luxury, lavender bath bomb is included as well as a download code for a pattern from Ravelry, which for February is a bag. I myself don't knit bags, but I have the pattern JIC and I might find some other use for this b-e-a-utiful yarn. 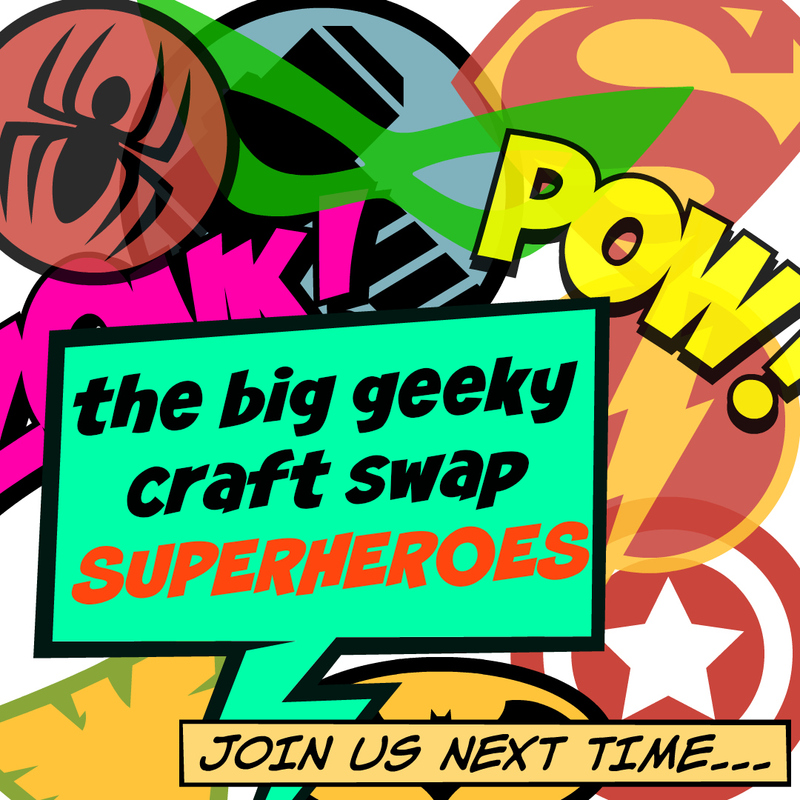 If you want to sign up to Knitcrate then simply click this link, and if you enter code Geek20 and you will receive 20% off your first month! But if this isn't for you, and socks are more your thing (as they are fast becoming mine) then how about Knitcrate Socks? 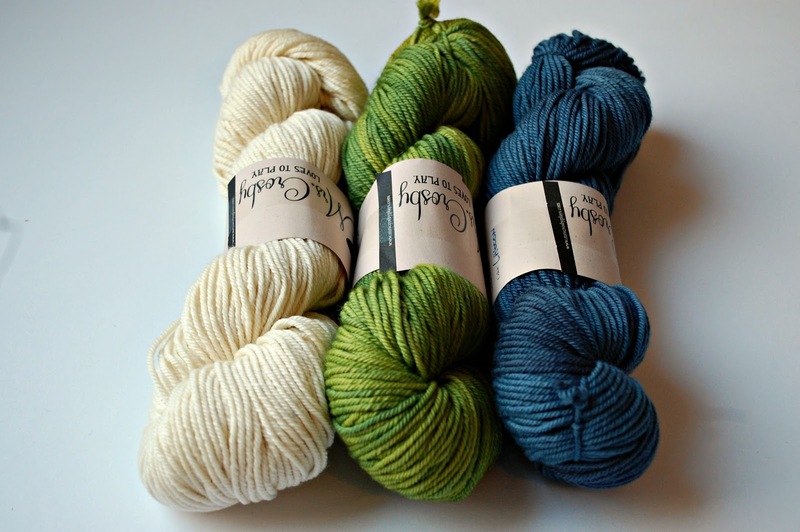 For the cheaper rate of around $30 you receive a generous a skein of wool perfect for knitting, you guessed it, socks! February saw Mrs. Crosby make an appearance again with Train Case, a generous 100g (425 yards) skein of 55% superwash Merino wool, 15% nylon and 30% viscose which will become a fabulous pair of socks just as soon as I finish the pair of socks currently on my needles. 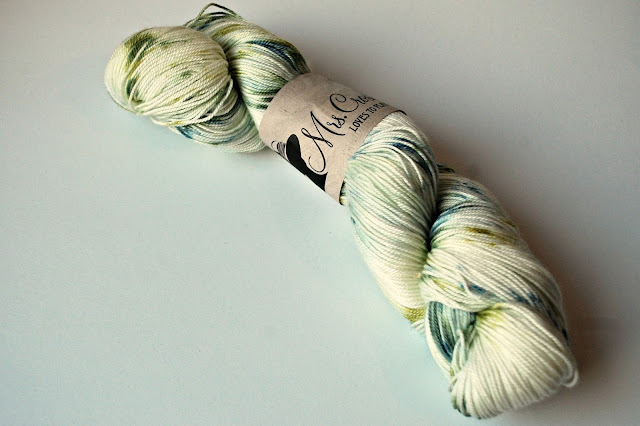 Enchanted Garden is the name of the colourway, which has gorgeous flecks of green and blue running through the cream wool. 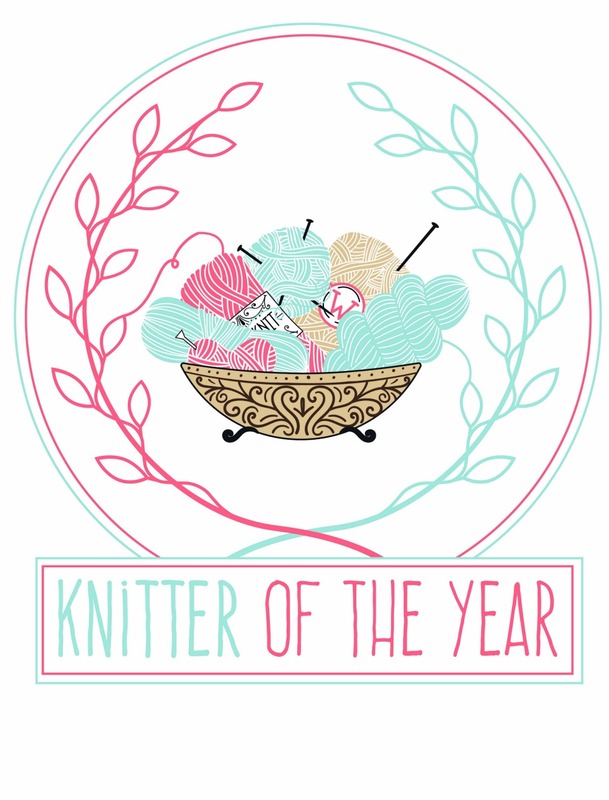 Again if you want to sign up to Knitcrate Socks, or maybe you fancy a crochet crate, a beginner's crate, or something else, you will find it on their website!! Just click this link and make sure to enter my special code Geek20 to receive 20% off your first month! 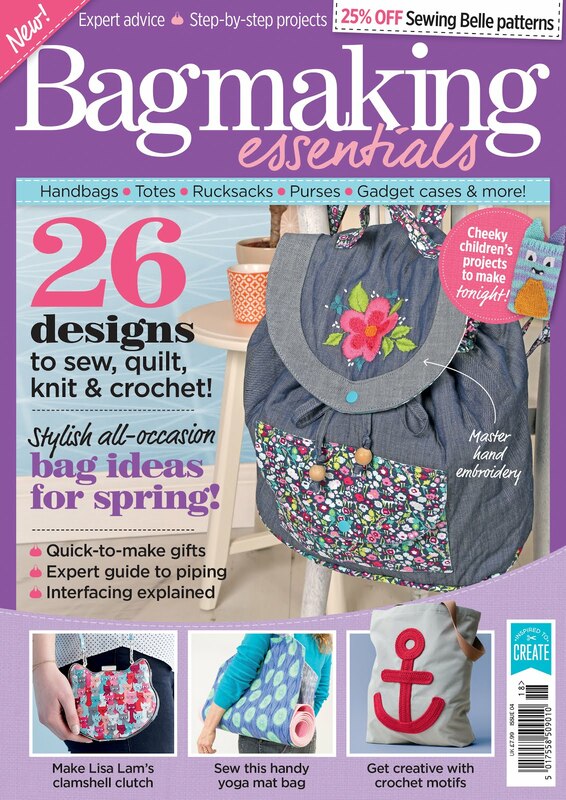 But hurry, you have until 31st March to sign up for March's box. **Big thanks to KNITCRATE who very kindly sent me these 2 boxes for review. All thoughts, opinions, and gushings of wool-related excitement are my own. 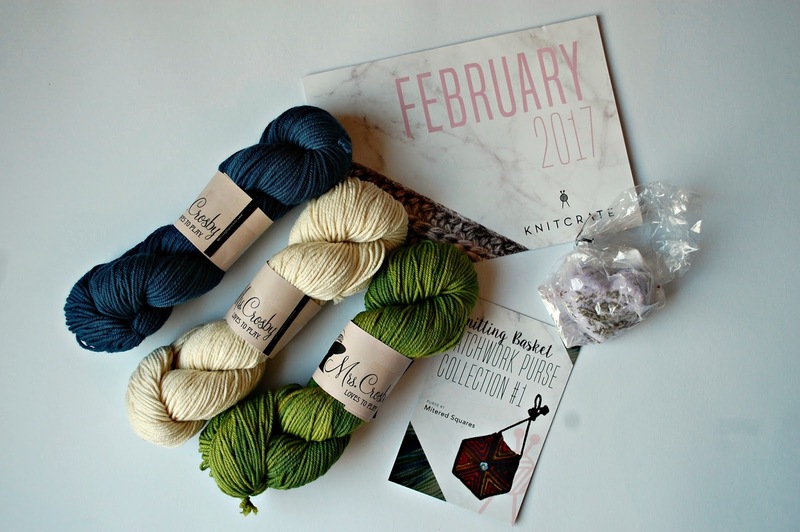 Sign up is open on KNITCRATE now for the March box, not February.